Dungeon Hunter 4 – Games for Android 2018 – Free download. Dungeon Hunter 4 – Exciting Free Action RPG. 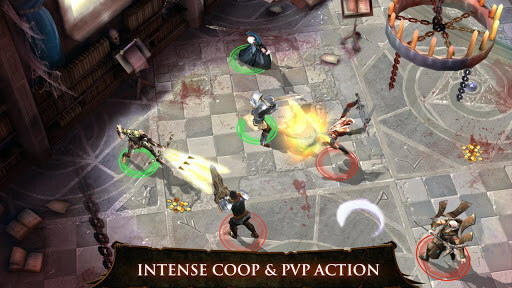 Dungeon Hunter 4 - this is the fourth part of the famous series of Action RPG for Android from the studio Gameloft. The new part has been completely redesigned combat system, new character classes, and the game as a whole was similar to Diablo III, and in the best sense. The graphics in the game has also been seriously improved, and the developers have even published the minimum system requirements, and it is - 1 Ghz CPU, 512 Mb RAM and video card PoverVR SGX540 level or equivalent. In our view, for a comfortable game requires at least 1 GB of RAM and at least a dual-core processor, as even on the Samsung Galaxy S III in the game are braking. If the third part of the game was banal and boring scene with a bunch of monsters, here again there was a full story and a lot of interesting locations. Naturally, we will once again save the world from evil demons. 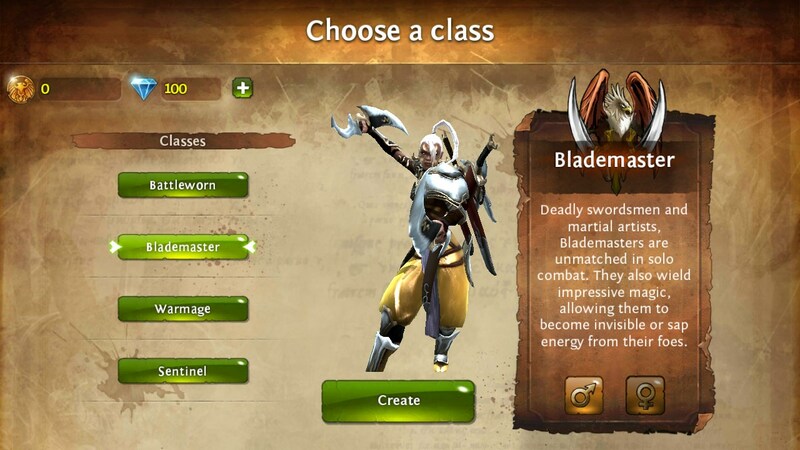 The game features four classes, two - for melee (Knight and Swordsman), and two for ranged (mage and archer). Each class has a unique set of skills and is a unique weapon. Control of the game is pretty standard and familiar to the genre. On the left is a virtual joystick for movement and the right - buttons to attack and super hits. If desired, the control can be set up and move individual elements and buttons. Battles in the game are much nicer, there is no sense that the character is just a slap in the chosen direction, all strokes are right on target, that is, there is a certain attraction to the nearest enemy. Sami fights became more like Diablo, crowds of weak enemies and different bosses. Since each object has a chance to knock the subject. PvP mode and much more. The main drawback of Dungeon Hunter 3 was too greedy in-game system improvements and purchases. Here, it became a little easier, things are improving rapidly, and health elixirs themselves appear over time. Summary. 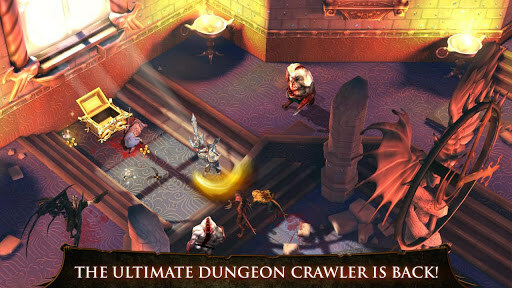 Dungeon Hunter 4 - is a fun game for Android, which like the fans of the genre and fans of Diablo. Perhaps it is this part of the game has finally found its own style and is now at 100% corresponds to the genre of Action RPG. When requesting assistance please try to be as specific as possible regarding the issue. What exactly prevents you from downloading the app? What device model and OS version are you using? And are any error messages displayed? If so, what are they? I believe the app should be compatible with your device. Does it have the latest android version? According to my research it should be 4.1.2. Please check if it is up to date, and if not do a system update before trying to download the app again. My tab 3 can,t play??? Is this game not compatible with samsung S4? It says not compatible with my device how can I resolve this issue?